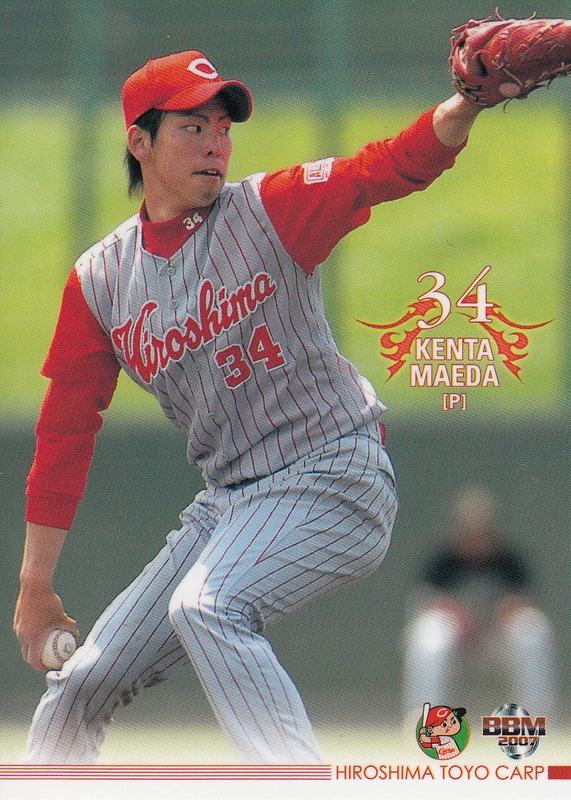 Kenta Maeda has signed with the Dodgers, following the path his Carp teammate Hiroki Kuroda took to the majors. 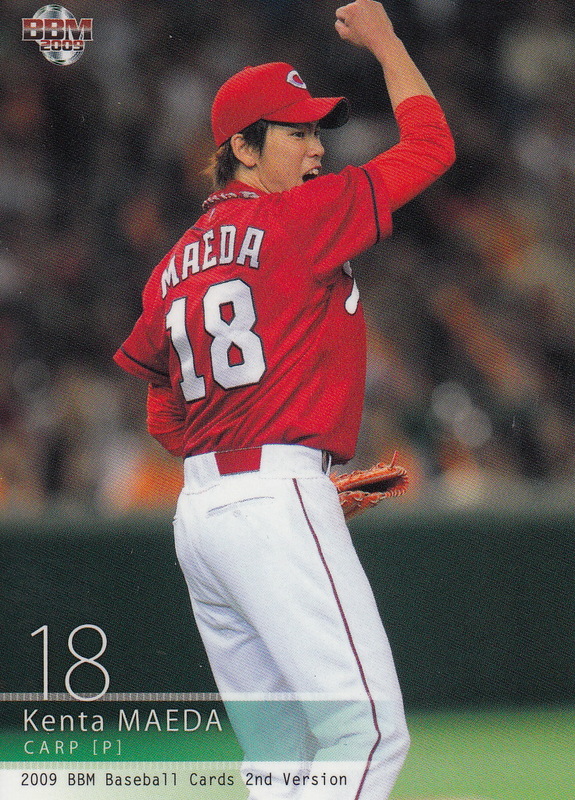 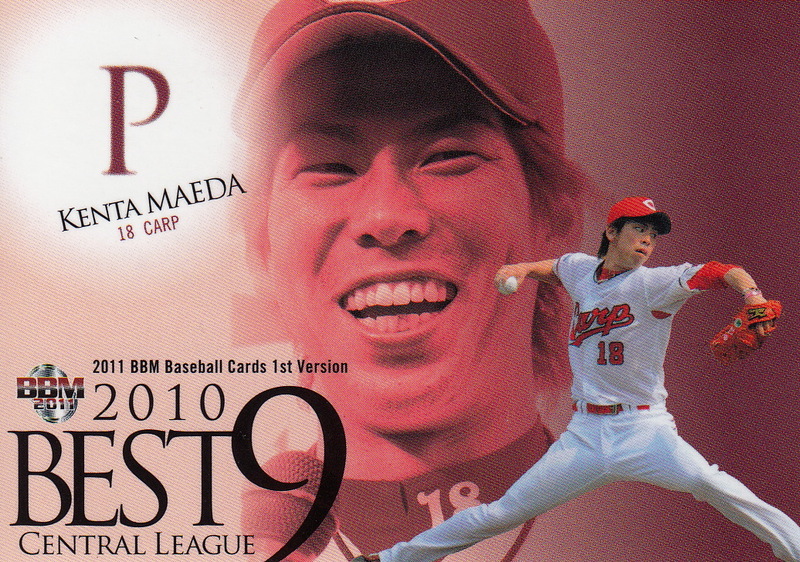 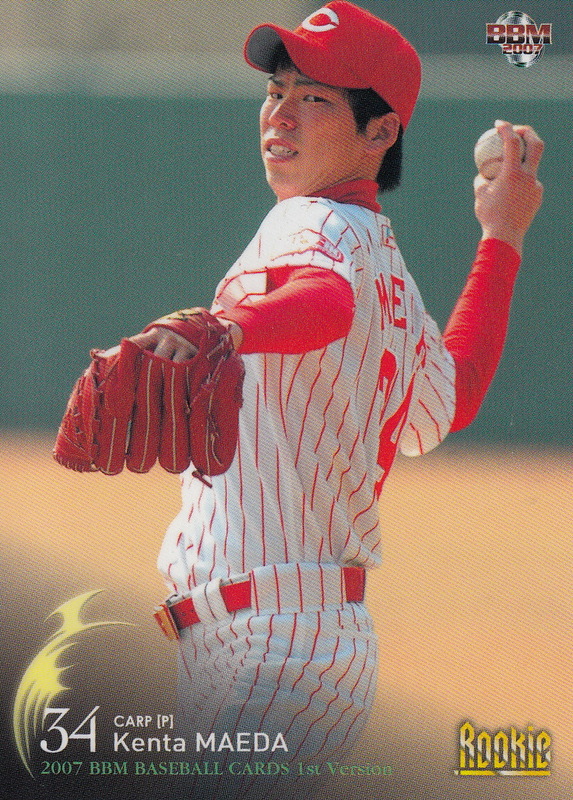 Maeda was the first round pick of the Carp in the high school portion of the fall 2006 draft. His first BBM cards were in 2007 - Rookie Edition (#76) and 1st Version (#391). 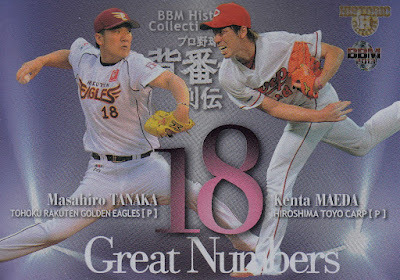 He's been in every BBM 1st Version set since 2007 and every 2nd Version set since 2009. 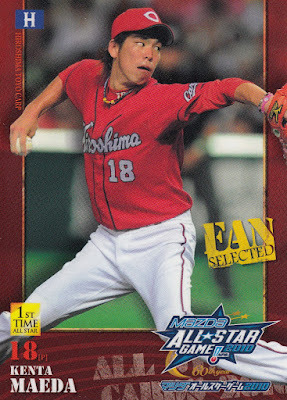 He was included in the 2010 and 2012 All Star sets (he's made more All Star teams but BBM stopped doing All Star sets after 2012) and all the of the Classic sets (2013-15). He's been in the Carp pack based team sets every year since 2007. 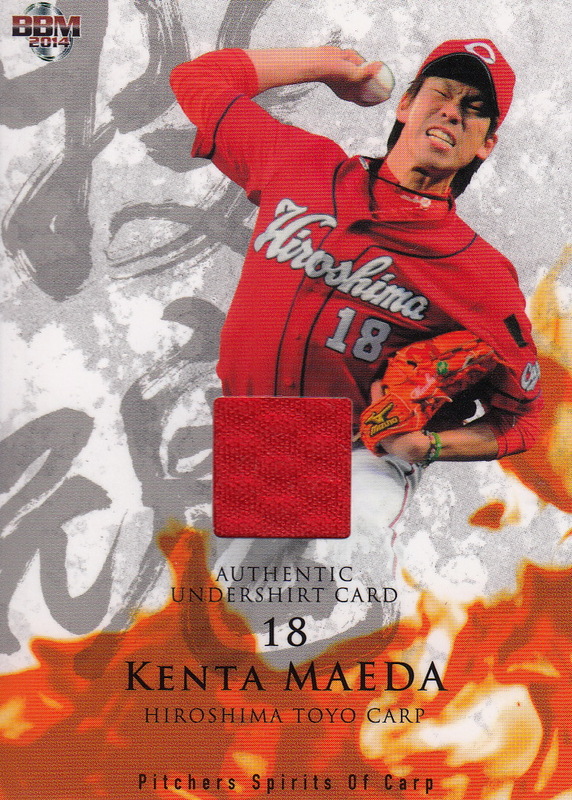 He's also been in most of the Historic Collection sets since 2009 - "Back To The '80's" (2009), "Hometown Heroes" (2011), "Strongest Generation" (2012), "Great Numbers" (2013), "Brilliant Teenagers" (2014), "Memories Of Uniform" (2015) and "Stadium Story" (2016). 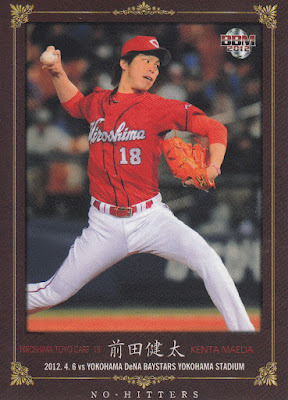 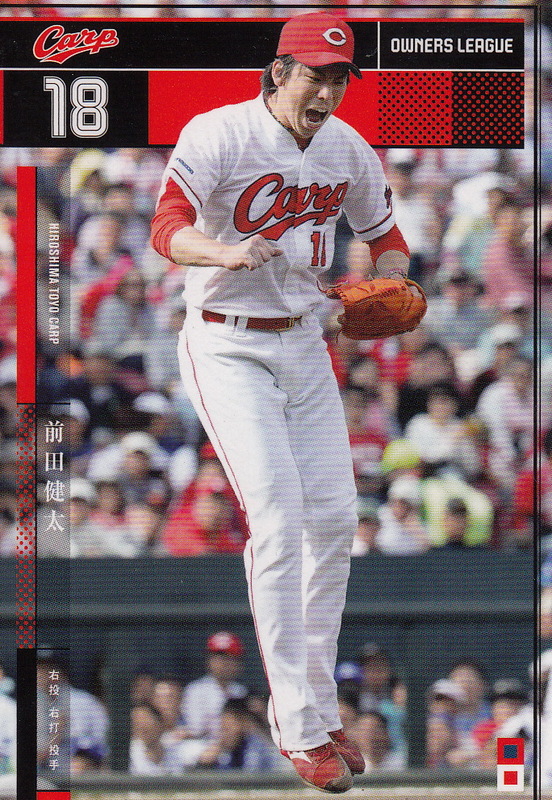 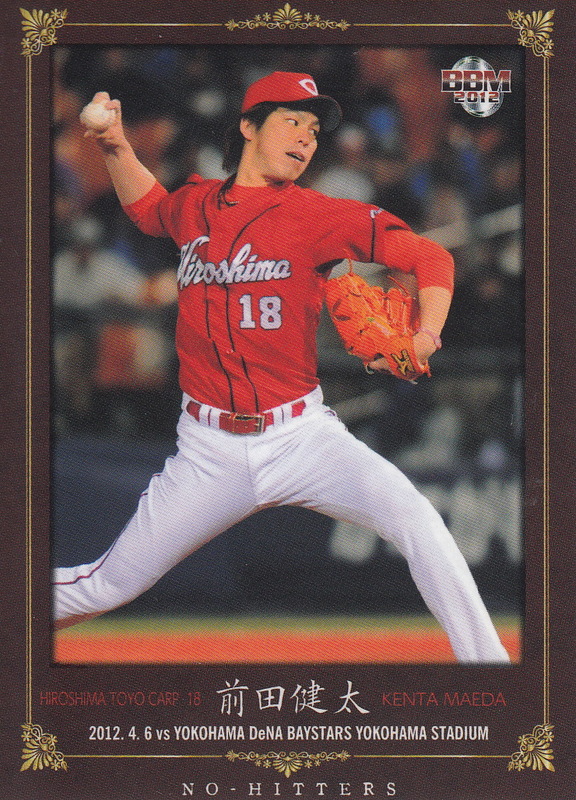 His first Calbee card was not until 2008 (#133) but he's had at least one Calbee card every year since (although in 2012 he only appeared in subsets - he did not have a regular card). He has appeared in a number of team box sets for the Carp issued by BBM, Front Runner and Epoch as well as three "single player" sets dedicated to him - 2010's "Advent Of Ace" and 2014's "Red Samurai" box sets from BBM and a pack based set in 2013 from Sports Graphic Number. 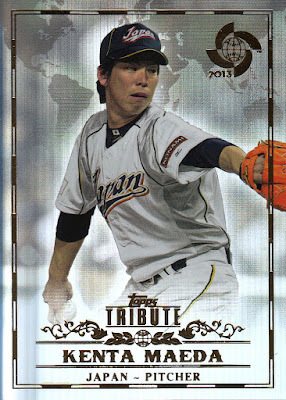 He's only pitched in one World Baseball Classic and was included in the 2013 Topps Tribute WBC set. As always, this is not a definitive list of his cards, just some of the highlights. I will refer everyone to the work Jason has done adding checklists to both SportsCardForum's Inventory Manager and the Trading Card Database. I want to note that Beckett had a nice write up on his 2007 BBM and 2013 Topps Tribute issues a few weeks back (H/T NPB Reddit). 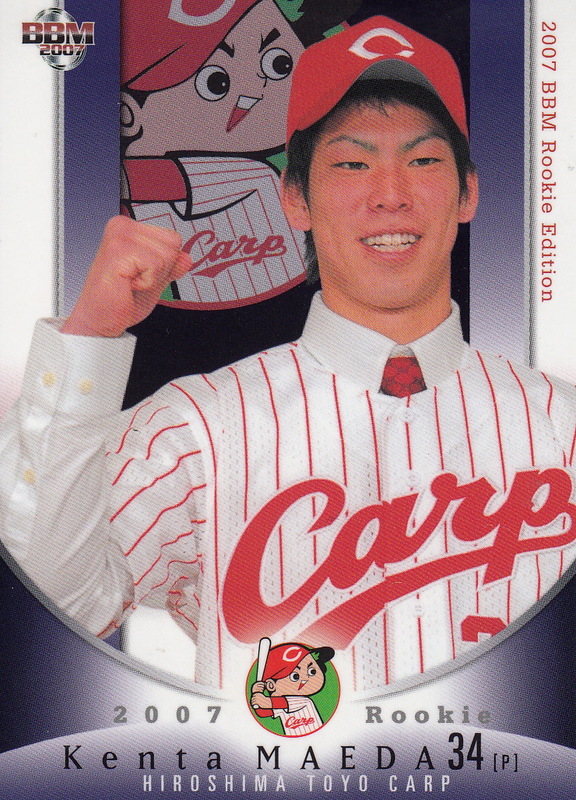 I suspect that the Carp would have posted him last year if the old posting system that didn't limit the posting fee to $20 million was still in place.